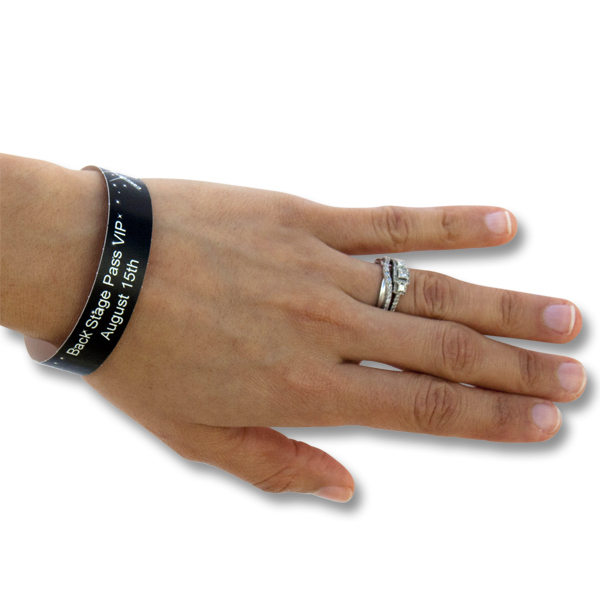 We offer blank or printed waterproof, non-tear wristbands. There are 13 wristbands per 8.5″ × 11″ sheet. Each one is 0.59″ × 10″ long with a permanent adhesive clasp and will break away if removed. These can run through a Color or BW Laser Printer or Inkjet Printer! Get them with one stub or two! Use your software to serial or sequentially number or barcode your custom wristbands. See Wristbandfactory.com for available standard designs.